Toepaz Dance has jumped on board with “Team App” and has created is very own App for mobile phones to keep parents updated with Toepaz News/ Dates/ Documents and Events right at the tip of your fingers! This will be a fantastic way to keep parents updated with what is happening and have documents of times/ rehearsal schedules/ exam schedules and other information all for your convenience! 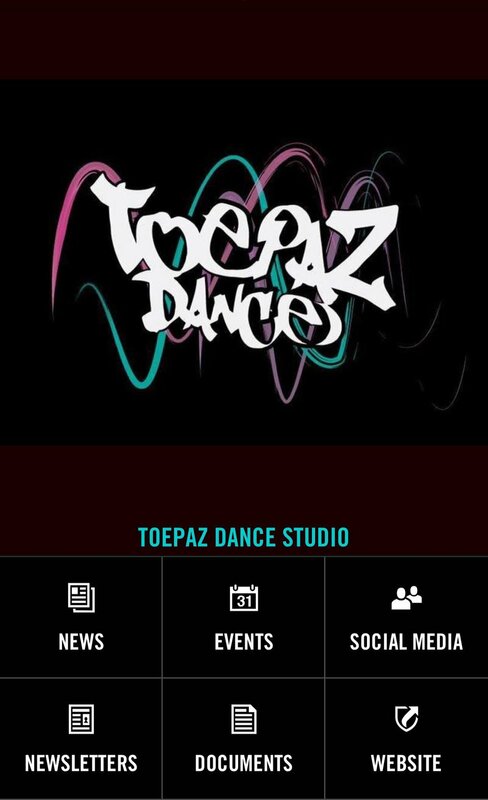 Toepaz Dance will be constantly updating this APP and you will get notifications on your phone with what is happening, so be sure to download it to keep up to date!